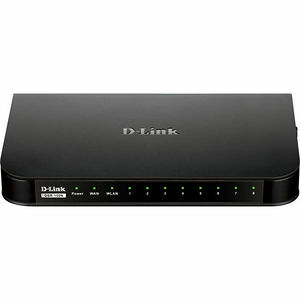 D-Link Unified Services Routers are secure, high performance networking solutions that address the growing needs of small and medium businesses. The integrated high-speed IEEE 802.11n wireless technology in the DSR-150N, DSR-250N and DSR-500N routers offers comparable performance to traditional wired networks, but with fewer limitations. Each router provides optimal network security via features such as Virtual Private Network (VPN) tunnels, IP Security (IPSec), Point-to-Point Tunneling Protocol (PPTP), Layer 2 Tunneling Protocol (L2TP), and Secure Sockets Layer (SSL). These routers also allow you to empower your road warriors with clientless remote access anywhere and anytime using SSL VPN tunnels.